We’ve had a lot of rain lately. According to the local meteorologist, this is the 5th rainiest April ever recorded for our area. And we aren’t finished yet. I woke up this morning to the sound of a summer thunderstorm rolling through, & there is more rain in the forecast for the coming week. Lucky for me, I love rain. And now that I have a macro lens, I love it even more. Images of water droplets have always been some of my favorite macros, & I was pretty excited to get the chance to try my own hand at some rain macros. I took these one day while it was still drizzling. Next time, I’ll remember to throw on sweats that I don’t mind getting dirty before I venture out, so that I can get down even lower for a different perspective. Speaking of perspective, I think that is my very favorite thing about macro. Through a macro lens, the world looks entirely new. Walking through our (overgrown) yard, I would never have noticed that the rain drops scattered over the grass were almost spherical. 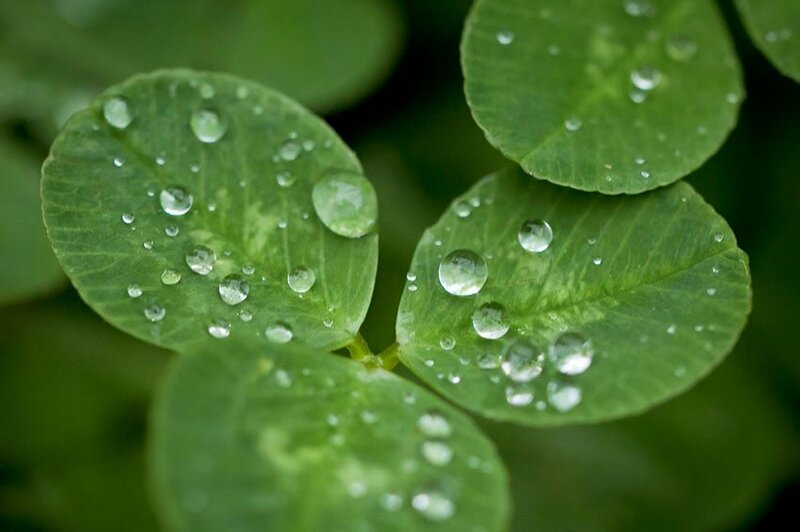 But through a macro lens, the clover looks like it has been sprinkled with jewels. And dandelions? 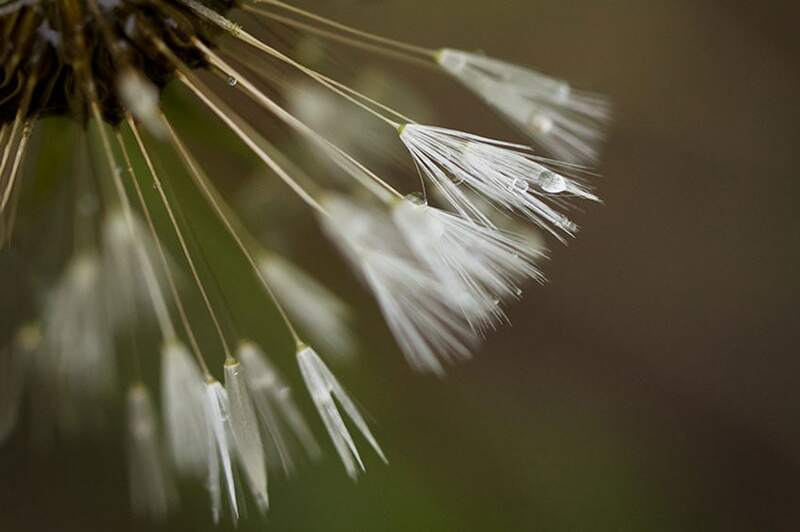 Did you know that dandelions fold up their fluff like tiny umbrellas when they are touched by the rain? I remember being fascinated by tiny things when I was a child. I always had some kind of collection going of things I had found – interesting rocks, snail shells (or live snails! ), empty nut shells, pretty leaves. I can remember lying on my stomach in the grass, watching the tiny parade of life that goes on under the canopy of the grass & wishing I could shrink down & go wandering around among the moss-covered rocks & violets. I had forgotten all about how closely I used to look at the world until my own kids started bringing me their own treasures to be admired. I’m not sure at what point I got too busy to really look around me. I suspect, watching my almost-teenager, that it was around 12. These are so beautiful! I’ve recently been shooting some macro. Your images are such awesome inspiration! I love seeing your macro perspective on the world- these are gorgeous!